Hover mowers are quick and easy to use but they do not leave stripes in your grass. The motor mowers for long grass are an excellent way of clearing space like a hovering scythe. The electric Hover mowers are fine for small lawns and are far lighter than most other lawnmowers but they are unlikely to collect up the cut grass. Whatever annuals you choose to grow there are several ways to get the best from them in your garden. Annual plants raison d’êtra (reason for being) is to procreate and help the species survive. Use this to your advantage by stopping your annuals setting seed. If annuals set seed it is a sign the job is done and flowering will stop. Pick flowers for indoors, Sweet Peas can be picked every day to encourage new flowers and prevent early demise of the plant. Alternatively trim, deadhead or shear off old flowers as they go over but prior to setting seed to get a new flush of flowers. If you wish to collect seed for next year wait until late August when plants will begin to stop producing new flowers anyway as the days get shorter. Water and space are probably more important than feed. Some plants like poor soil to encourage flowering, Nasturtiums for example will produce a lot of leaf if the soil is too rich and fewer flowers. Cut off flower heads of annuals you do not want to crop up everywhere. Teasels, Honesty, Welsh Poppies and Bellis Daisies seem to get everywhere in my garden. Pull out old plants and compost them when you have finished with them. Replace with some biennials for a quick show next spring or plant up some late flowering Asters or Chrysanthemums. 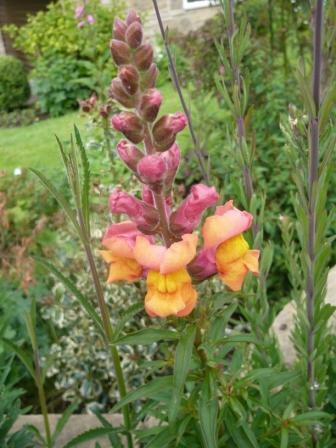 Remember some plants may be half-hardy perennials, like the Antirrhinum but are best treated as Annuals and should be grown for one flowering year only. 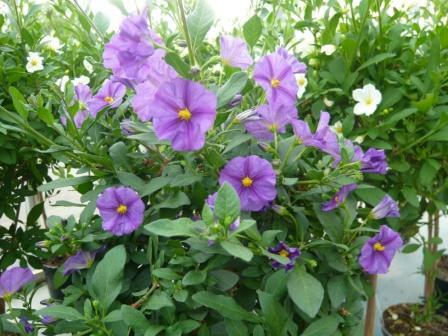 Annuals make good cut flowers and have a fast range of colours from which to choose. ‘Good Companions’ by J B Priestley is not a gardening book but it might well have been as it is a tightly observed text on relationships and how one supports the other. Three main reasons for companion planting are mutual feeding, aesthetic considerations and technical or horticultural reasons. 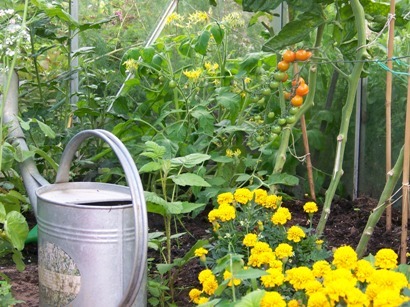 Many people will grow Marigolds or Tagetes in close proximity to Tomato plants to distract white fly. Good companions also act as living mulches suppressing weeds and keeping the roots nice and cool. Form and texture combinations can work well such as spiky Phormiums with the glaucus leaves of Sedum. I like to vary the height with companion planting using annuals like Alyssum or ground cover under taller shrubs and trees. Colour combinations are a whole subject too themselves. Complementary colours or contrasting colours it is your choice but a bit of thought and some serendipity will help. Garlic bulbs are said to ward off aphids and other members of the onion family such as chives, ornamental alliums are rumored to increase the perfume of roses and prevent black spot. The purple and blue-gray Nepeta Catmint or the lime green Alchemilla works well with any pale pink roses and the wispy spires gracefully camouflage any blemishes that may occur on the rose’s foliage. 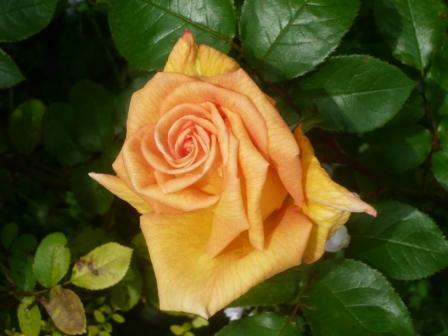 Herbs and other aromatic plants make wonderful rose companions. Lavender, scented Geraniums, Feverfew, Parsley and Thyme may suit. Tomatoes allegedly prevent black spot but not many people will be inclined to combine roses and tomatoes. Not all combinations work; Beans and Onions do not coexist very well. Strawberries and Tomato will not do as well with brassicassuch as Cabbage. Cucumbers are tempremental when planted near Potatoes or strong herbs. Watch out in your garden and see what ornamental plants make Bad Companions and let us know what you discover. June is a good month for sowing seeds to get the plants you want for next year. I have sown some biennials today and will sow other seeds after the ‘hot’ summer. Do not sow in winter or in waterlogged ground or the seed will rot. ‘Sow dry and plant wet’. 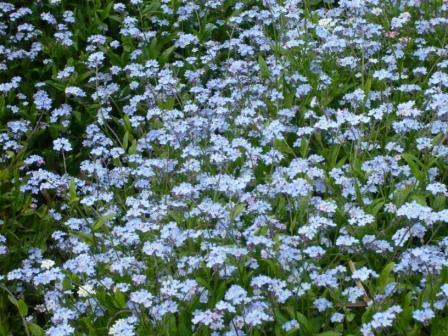 Annuals will flower 12 weeks after sowing but perennials may take up to 12 months or more. Do not cover seeds with 6 inches of soil they will never see the light of day. Generally a light covering will suffice. Seed in foil packets may stay fresh for 2 years as advertised on the packet but you want good germination rates so use good fresh seed. Read and follow the instructions on the packet but don’t be afraid to try collected seed. Sweet William Early Summer Scented are a mixture of Dianthus barbatus to flower from next April. I filled a seed tray with moist seed compost (peat and peat substitute tends to dry out then be hard to re-wet) then took a pinch of seed and sprinkled them evenly. Wallflower Blood Red is another fragrant spring flower sown in shallow rows outside. (Rows help show where the wallflowers grow compared to weeds which will come up at random). Campanula Pyramidalis’s very fine seed has been sown in modules and also direct into cultivated soil raked to a fine tilth. (Tilth is very fine top soil with lumps broken down in which to sow your seeds). I haven’t tried these before so they got a bit more TLC. I could have sown other biennials including Foxgloves and Honesty or winter flowering Pansy but there is still time for me to buy them. Perennials like Aquilegia McKana Giant mixed will be sown on the surface of compost as they need light to germinate in September or October. Marigolds (Calendula not French) and Cornflower sown in September will survive the winter and should get off to a quick start next year. Sweet Peas can be sown in October to over winter. They need a deep root run and can be sown in long tubes. I have always assumed this Rose that I bought as Tzigane (Tsigane) was in fact that variety. When I recently compared it to pictures by other gardeners I found 4 totally different offerings under that name. I am happy with my rose, that it is a regular flowering rose of fair scent and pleasant disposition (no bugs or diseases of note) and it is 10+ years old. Perhaps the inner petal shade should be pinker but the bicolour effect is still noticeable. Even under the same name plants will vary. Parentage, growing situation, general cultivation and environmental factors will all influence a plant which may also vary of it’s own accord from one year to the next. Plants can get mis-named by nurseries by accident, carelessness or even commercial imperative. If it is important buy from a specialist nursery and select your plant when it is in flower too check it is to your specification. Do not be afraid to take a wayward specimen back to the retailer. 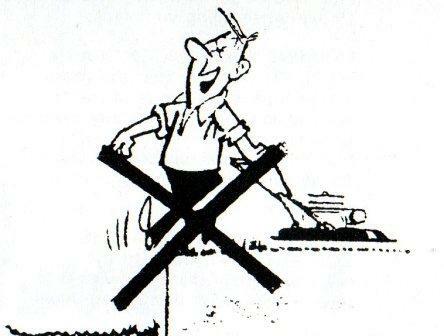 Older gardeners may remember the water company slogan ‘Save Water bath with a friend’ used during the great water shortages of 1976. Are we in for another summer like 1976? Some thinks so others are still suffering floods and unseasonal cold still as Baden Powell said be prepared. I am suggesting help from friendly gadgets to save water in your garden this summer. For a cheap system of ‘container watering’ use a big container (they hold more soil and water and have less pot surface area to soil) and mulch the top with 2″ of gravel, slate or bark. Plastic containers evaporate less from the sides but the soil gets hotter than with terracotta pots. When you water make sure you give them a long drink. I stand all pots on a saucer and fill it up as well as watering from the top. Self watering pots can be bought with a reservoir that avoid 2out of 3 watering requirements when compared to a normal pot. The Rolls Royce system would be a full irrigation system from a header tank with computer control as used in commercial nurseries. An easy to use irrigation system based on a modular approach can start from less than £20 and be used in the greenhouse, garden or for pots and hanging baskets. Buy an Thompson MorganIrrigation system from Thompson & Morgan from this link. 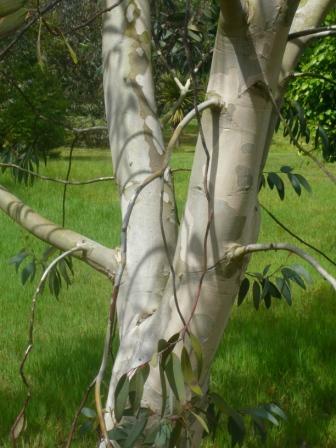 This white barked tree is an Australian Eucalyptus debeuvillei’ Snow Gum’. It is planted in the special southern hemisphere enclosure at Marks Hall in Essex as part of the Arboretum. Gondwanaland was the ancient name of a super continent that split apart to form Australia, Antartica, New Zealand and South Africa (although I don’t know who was around to call it that). In the planting there are a large number of as yet quite young Monkey Puzzle trees Araucaria araucana but that adds to the attraction of this fine garden. It is good to see new planting that will be there when the 500 year old Oaks reach their millennium. One of those plantings will be the the Wollemi Pine one of the world’s oldest and rarest plants dating back to the time of the dinosaurs. 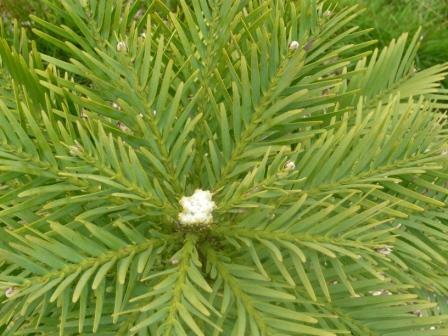 With less than 100 adult trees known to exist in the wild, the Wollemi Pine is now the focus of extensive research to safeguard its survival.It is far sighted to plant several of these trees as part of the Southern hemisphere garden which will itself develop as the trees mature and provide shelter and (globally warmed) conditions. Plants need Air, Water, Sunlight and Nutrients to grow. Various plants also need other smaller amounts of minerals or trace elements such as Sulphur, Calcium, Iron. Magnesium, Copper and Zinc. Liquid fertiliser is available as a concentrate or powder that is diluted and applied to the roots and surrounding soil. At larger dilution levels it can act as a foliar feeder adding nutrients through the leaves. Solid Fertiliser is usually granular, pellet or powder form. They release feed over a longer perion as in Bone Meal, blood Fish and bone or Growmore. They can be incorporated in a planting hole or scattered on the surface to be washed in to feed existing plants. Green Manure is a crop that is dug back into the soil to improve fertility and soil condition. Clover and pea plants fix nitrogen into the soil whilst grass clippings need nitrogen to rot down. 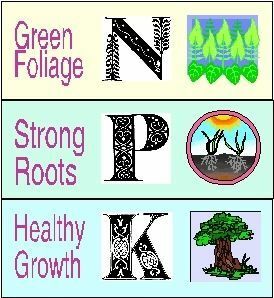 General Purpose fertilsers have a combination of all 3 key nutrient NPK and this is shown on the packaging in proportions 2:2:6 would have the same proportions of nitrogen and phosphorus but twice as much pottasium so would be good for flowers and tomatoes. Lettuce seed only germinates below 20 ° C ( 68° F) so avoid a position that is in full sun. Drying out can cause lettuce to bolt. Sow some Oriental vegetables to use as cut and come again. They will be ready to harvest in a few weeks and good in salads or stir frys. Beetroot leaves look good and can be eaten as well as the roots. Try a few in a deep pot if you are short of space. Onions shredded onto a salad are one of my favourites. You can pull young sets as spring onions so plant them close and eat as you start thinning out.